Overall, Southern California is one of the most agreeable places to exhibit with some of the best caliber labor in the nation. The Decorators Union claims jurisdiction over all set-up and dismantling of exhibits including signs and laying of carpet. This does not apply to the unpacking and placement of your merchandise. You may install and/or dismantle your exhibit display if one person, who is a full time employee of the exhibiting firm, can accomplish the task in an hour or less without the use of tools. If your exhibit preparation, installation, or dismantling requires more than 1 hour, you must use union personnel supplied by either the general contractor, or your independent contractor of choice, such as Absolute I&D. 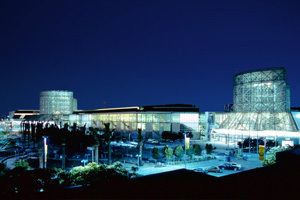 Contact us for a free quote on trade show exhibit installation and dismantle services in Anaheim, Los Angeles, Long Beach, Ontario and San Diego.